La Flor de Copan S.A. Known for their full bodied cigars such as the famous La Flor Dominicana Double Ligero line, the popular Litto Gomez LG cigars, LFD Chisel, LFD Air Bender, and other full throttle cigars, La Flor Dominicana cigars have been setting the standard in the cigar industry for years. These are all handmade in the Dominican Republic using only the best naturally grown ligero available for the filler on these cigars. The ligero is the type of tobacco used for creating that extra kick in a cigar, and La Flor Dominicana cigars feature the best ligero in the cigar industry. 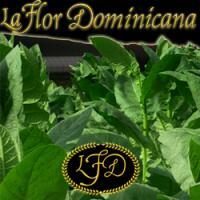 La Flor Dominicana cigars are always on a high demand so be sure to grab a box if they are available.